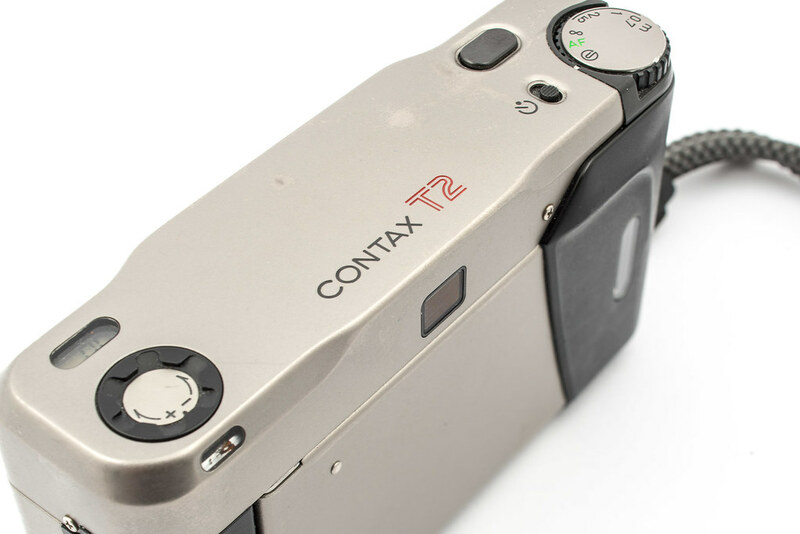 Contax T2 – it’s chunky, but it’s good! 8.0.1 Do you enjoy reading 35mmc? The positive handling experience was unfortunately soon shattered when I took the first photo and felt the lens move against my middle finger. Funnily enough, the other camera I had this with was it’s cousin, the other Zeiss armed Yashica T5. They are not the only cameras out there with the lens so close to the right hand grip, but the way they have been designed does mean that without initial conscious effort fingers may interact with that lens. Thankfully I seem to have got over my fat-handed behaviour and now appear to be able to handle the camera better. By the time I had shot the second roll I was seeing a significant decrease lens/finger interactions. I suppose like with anything it just takes a little getting used to… But when coming from shooting so regularly the Ricoh GR1 which, ergonomically speaking, is probably king of the compacts, the Contax T2 does feel a little clumsily designed in this regard. There seems to have been this supposition in compact camera designers of this era that it was ok to create cameras that require a sort of pincer grip of the edge of the camera, this doesn’t wash with me! I prefer a camera that fits into the right hand, and whilst it is possible to hold the Contax T2 this way, it is obvious from the shape of the rubber grips that it wasn’t intended. One way or another, I do prefer the handling of the Ricoh GR1 and think its a shame that when designing the Contax T2 they couldn’t have found a way to mount the lens slightly closer to the other side of the body. But look, this rant has been building up inside me for a while, don’t let it put you off the Contax T2, there are plenty of other guilty cameras and once you get accustomed to it, or if you don’t mind clasping the edge of a camera, it’s fine! It is also worth pointing out that my frustration with the position of the lens was entirely outweighed almost instantly by the rest of the user experience! The rest of the camera feels like it was designed with considerable thought to what a photographer shooting with a compact like this might actually want or need, and this to my mind carries through to the way it functions too! One of the first things you notice when using the camera is the viewfinder. It’s bright and clear and doesn’t seem to suffer in the same way as many do with flare or blackout. The framelines are maybe slightly prone to disappearing on a bright background but that is to my eye one of the only flaws of the VF. The feature that really sets the view through the finder apart though is the live metering information! When the camera is switched on, the metering is on, and is constantly updated. It does go to sleep after a little while but a half dab of the shutter release reactivates it. I’m not entirely sure if the shutter fires to the exact speed displayed in the finder, I know some cameras like this are capable of shutter speeds in between what we consider standard speeds, but one way or another it does show you a very good, if not exact indication of the speed that it is going to use. Of course there is little space in a finder of a camera like this so the information is relayed in a space saving way. There are only actually three speeds shown in the finder, 1/30th, 1/125th and 1/500th. Limiting you might assume, but when 1/60th is to be used, both 1/30th and 1/125th are lit. The same method is used to indicate the selection of 1/250th between 1/125th and 1/500th. The 1/500th also blinks when it is going to overexpose. Additionally to this the is an “LT” light, I don’t know what this stands for but I go with “Long Time” please feel free to correct me if that is wrong (it does sound a little silly). The “LT” light tells you a shutter speed lower than 1/30th is going to be used and a blinking “LT” tells you (according to the manual) a shutter speed less than 1 second will be used. Another pleasant surprise when you click the Contax T2’s shutter button is the brief and quiet sound it makes. I wasn’t sure I had loaded the film correctly the first time I used it, it just didn’t make a sound long enough to wind the film on. My worries were Ill founded, it was winding on fine, it just winds on quickly and nice and quietly. The Contax T2’s focusing options were a real surprise for me! I must have looked at photos of this camera a hundred times before I decided to buy one, pictures and imagination don’t do justice to how useable that little wheel on top of the camera is! Firstly, it’s the on/off switch, one click and the metal hatch on the front of the camera swiftly disappears, the lens pops out of the camera and it’s ready to shoot in AF mode! A further click and the focus is fixed to infinity, one more and it is in manual focus. There is probably just over a centimetre of un-clicked travel from the 5 meter to the 0.7 meter setting. I had read online that it isn’t the easiest of manual focus controls to use, but I actually find it very intuitive. The viewfinder displays a digital rangefinder made of a green circle to indicate focus and two red arrows either side that literally tell you which way to move your thumb on the wheel to gain focus. The green light of focus can appear and disappear quite quickly but once you get used to it, you get a feel for it! Not to mention the fact that due to the max aperture being f/2.8 unless you are particularly close to the subject you have reasonable room for error anyway! This isn’t the only AF compact with manual focus modes, but from the ones I have experienced none are as effective! I certainly wasn’t convinced I would use it at all, but as soon as you start using the camera with the knowledge of what advantages it can bring, it starts coming in handy quite often. 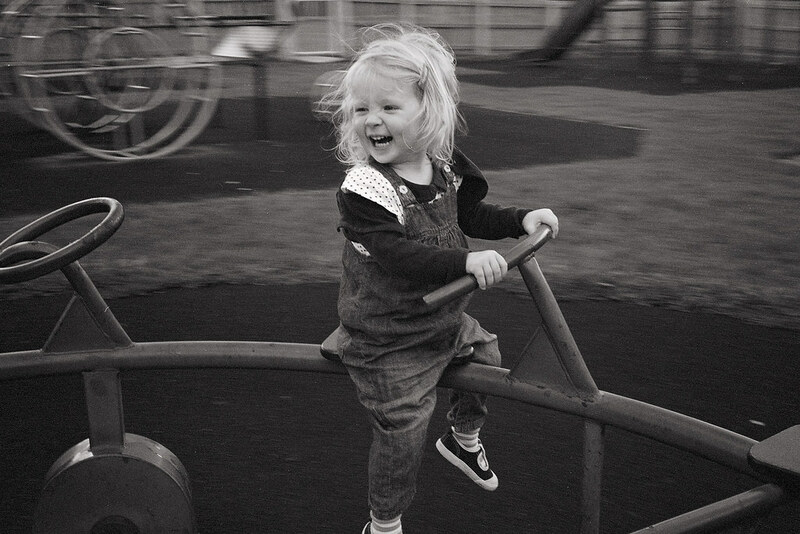 A good example of this was when I wanted to take a photo of my daughter on a swing, had I been using the Ricoh I may have put the camera in “snap” mode, with the Klasse W I might have been pushed to faff about in the menu for an appropriate manual focus distance. With the Contax T2 I set it to manual at the 0.7 meters, moved into a position where the little green light flicked on as she came near me and snapped. There was little shutter lag due to the lens moving to the point of focus, but not a bad effort I don’t think. Importantly, there is no faffing to get to this setting, no menu system to navigate, just a few clicks of the wheel and you are there. 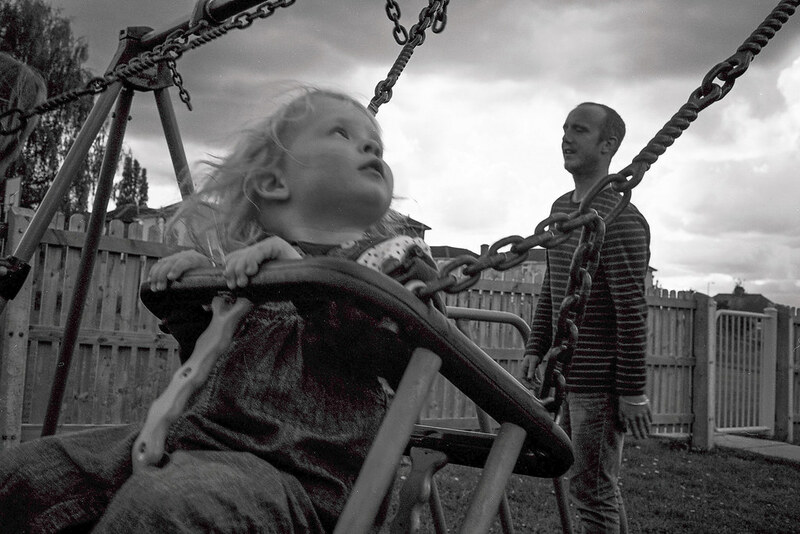 This simple operation also lends its self perfectly to street or candid shooting. The aperture of the lens can be set manually… I was actually surprised to see that when adjusting the aperture with the wheel around the lens that it is mechanically set. Something about that is reassuring, I’m not sure why, but I like it! … Anyway, due to this manually set aperture, and due to the fact that it doesn’t change when the camera is turned off, the camera can very quickly be switched on, put into manual focus and focused to a point that will give acceptably broad depth of field for a very quick snap. Ie, set the aperture to f8, switch the camera on, set the focus to 5m and you will have everything from around 2.5m to infinity in focus. It takes no time at all to get to grips with doing this without even looking at the camera, you simply click through to manual focus then nudge it back to where the wheel stops at 5m. This is possibly a little hard to imagine without giving it a go, but take my word for it, its very easy. It would be wrong to say that other manufactures haven’t found solutions to this, this sort of quick shooting is available on the GR1 with the (still available on their modern digital counterparts) “snap” mode. There is just something a little more satisfying and “real” in knowing what distance you have manually focussed to. The camera working like this will certainly win it points if you are coming from shooting an RF. The other great advantage of the manual focus mode on this camera is the ability to separate the point of focus from the area it meters from. I mentioned earlier that the camera meters “live”, this is incredibly useful in assessing a scene quickly for best exposure! The meter is centre weighted, so you can gather a rough idea of best exposure of a difficult scene by pointing the centre spot at various elements within the desired frame. I do this with the GR1 too, but each area requires a half press for a reading. 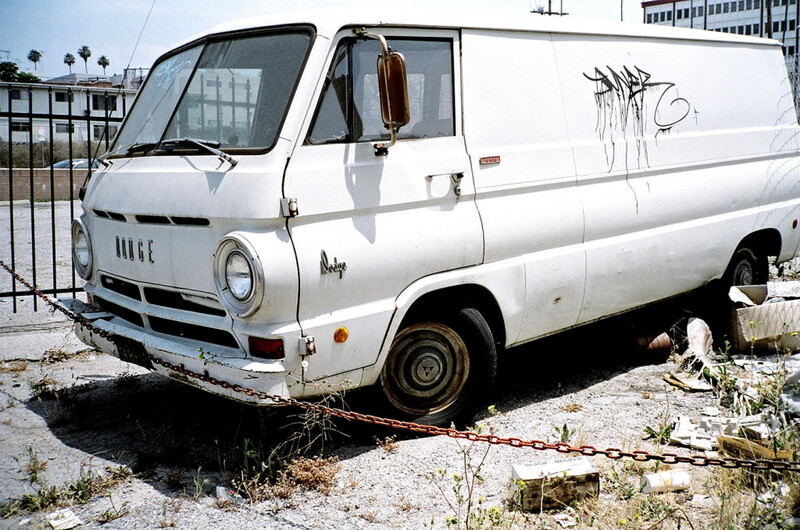 With the Contax T2 you can quickly scan the scene and decide what would be the most appropriate speed to use. Due to the live reading you also quickly become familiar with the size of the area the camera meters from! Half pressing will lock the chosen shutter speed but in AF it also of course locks the point of focus. With the camera set to manual focus, you can manually focus on the subject, point the camera at the area in the scene that selects the desired shutter speed, half press to lock exposure, reframe and shoot! 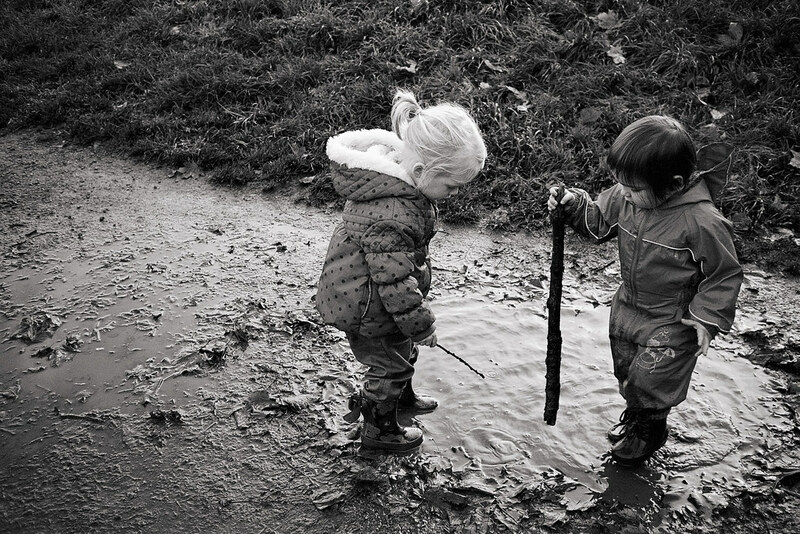 You would be surprised just how quick you can get at this with the Contax T2 with very little practice! +/-2 ev exposure compensation is also on hand for those situations where the above is a little over the top. The dial is initially fiddly, but I’ve found a forefinger on it and a thumb on the bottom of the camera is the best way to swivel the dial! The little window showing the compensation value is a little small, but you can’t forget it is set as there is a red indication light in the finder! So what about the photos it produces? Well, I’d invite people to judge for themselves from my snaps… But I think they are stunning! I am yet to discern any form of aberration, even when shooting into nasty light, I can’t find any evidence of distortion and out of focus areas are rendered pleasingly! The 38mm f/2.8 Sonnar lives up to the hype in my opinion. I’m sure the finicky folk out there can probably see fault, but to my eye, its bang on! Mostly good then? Well here are a couple of other niggles… The aperture selection is a little awkward for anyone with fingers larger than that of a two your old child! The camera moves the lens to focus after you press the shutter which does cause some lag, lag which cannot be overcome by manually focusing the lens! If you are a real stickler for shutter lag it may bother you, for me it’s not a major issue, but when compared to the GR1 in snap mode it does feel a little sluggish. I would also prefer a lens that focused closer than 0.7m, but if you are an RF veteran you will be used to that limitation. There is one odd design feature that seems to be picked up on often though that is probably worth mentioning and that is the inability to select f/2.8 without the camera also being set to program mode. What is less often mentioned though is the cameras willingness to use f/2.8 when set to program. The GR1 and the Klasse W have to be pushed into using f/2.8, both will prefer a shutter speed of 1/30 before even considering opening up the aperture to it’s largest aperture! I have speculated as to why this might be the case elsewhere, but whatever those reasons, they don’t apply with the Contax T2! The T2 will prefer to use f/2.8 until a shutter speed of above 1/125 is required. 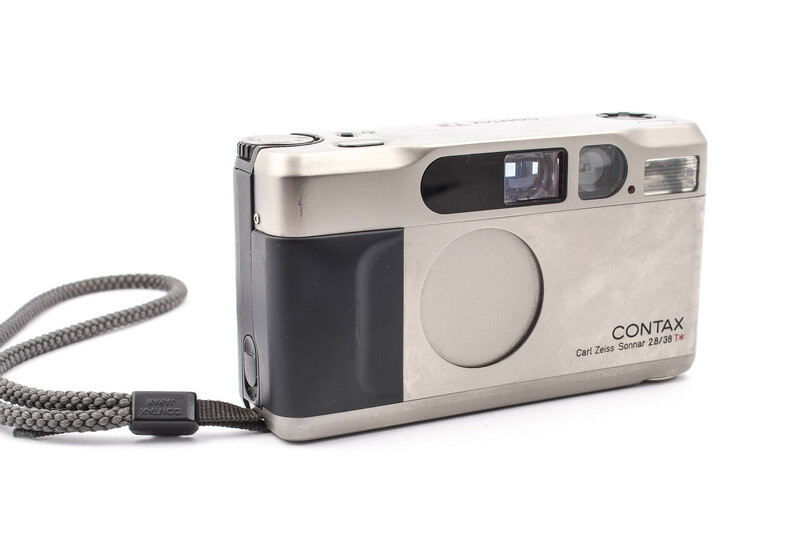 Along with the Contax T2’s inability to set f/2.8 outside of program mode, due to the flash being set by the aperture control, you can also only shoot flash (and red eye flash) in program. The manual states that the flash uses the “flashmatic” system ie setting the aperture depending on the subjects distance to control exposure when the flash is in use. in short, it’s not a particularly sophisticated flash. That said, I haven’t had any issues with it, exposures have been fine etc, just don’t expect any extra flasg mode etc, it doesn’t have them. Flash in near complete darkness. Manual ISO selection is also missing from the feature set. This is definitely a shortcoming, but it can be overcome by recoding film canisters if you are really desperate. I suppose I am probably used to using compact cameras now, used to working around their limitations and idiosyncrasies, and used to dealing with those little situations where you would normally employ some of the more “advanced” features of your average RF or SLR. The Contax T2 seems to retain the feeling of simplicity that I enjoy so much in a compact camera yet provide a set of features that combine to make a camera that rarely gets in your way! It just feels like it is well thought out, when using it, despite its limitations, I don’t feel limited by it at all. I like it so much in fact that I sold the tarnished silver one who’s photos you see in this review, to buy a very pretty dark grey one from Bellamy of JCH. In short it is definitely a keeper. Like the GR1v (if I can ever find a fully functioning one) I can see me wanting to use this camera very regularly! On the subject of the Ricoh GR1v, I suppose I should quickly touch on a comparison… I would say actually that (specifically) the GR1v and Contax T2 represent two halves of a whole for me. 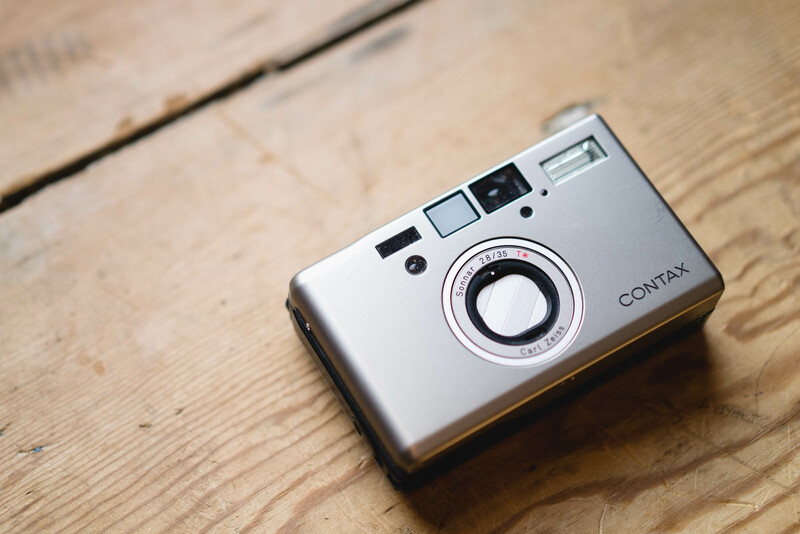 The Contax doesn’t have manual ISO setting, the GR1v does, the GR1v holds better in the hand, but the controls are nicer on the T2, the Contax feels uber solid and has a very good rep for reliability, the GR1v… not so much! 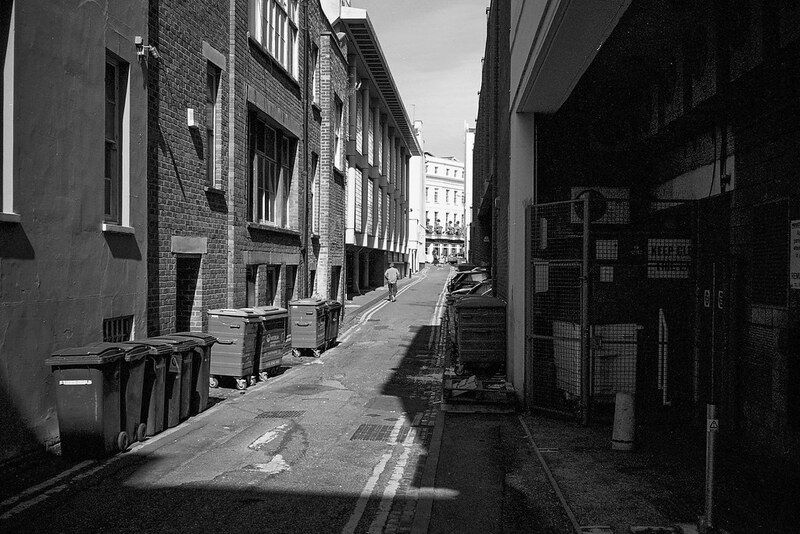 And I do prefer a close focusing 28mm lens to a less close focusing 38mm. Basically, If you want my advice … BUY BOTH! Since my point of view on this camera has changed somewhat since I wrote this post, I thought I might update it. Long term, I found myself not using the Contax T2. I loved it when I first got it, but increasingly found it’s weight an issue. After some deliberation I decided to sell it and move to the Contax T3. If you would like to read more about the T3, you can find my thoughts here. 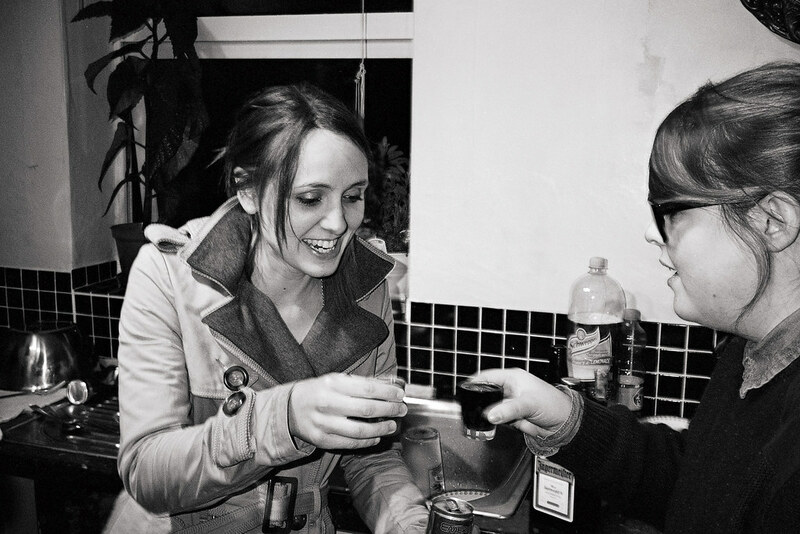 Hamish, thanks for the review, gave me more insight into my recently purchased contax T2. I was wondering what you used to scan your film? I have a very basic flatbed scanner (canon lide 700f), results are dissappointing. I used to think that my photos just arent good enough, but Id like to get a better scanner. Can you recommend anything mid-price-range? Thank you so much, wonderful blog! Hi Vanessa, I tend to send my films off to be processed and scanned. It might continue to cost money, but the results are better than I can get out of any scanner. 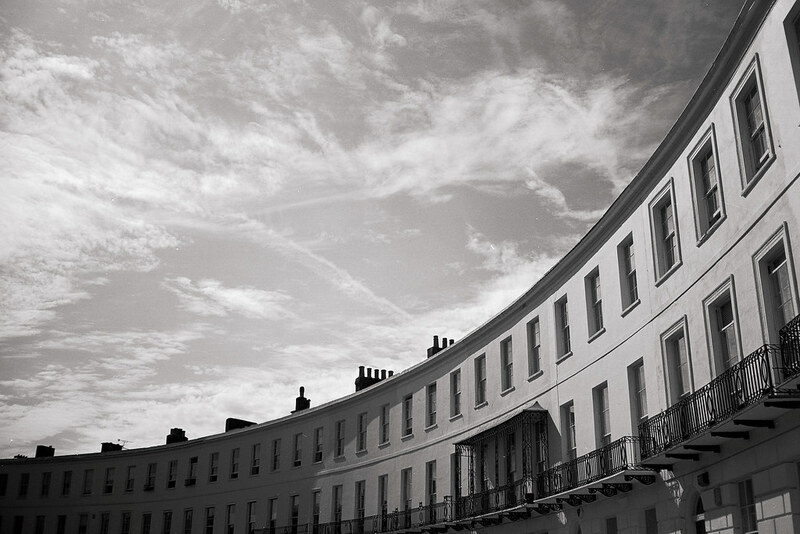 At the moment I use AG Photo lab – you can see a range of results from them here. I know that isn’t the answer you were looking for, but to my mind, its the best tip I can give you for good scans! Yes, it helps for sure, in the least to understand how to yield the best results and finding my comfortable spot quality/price wise. 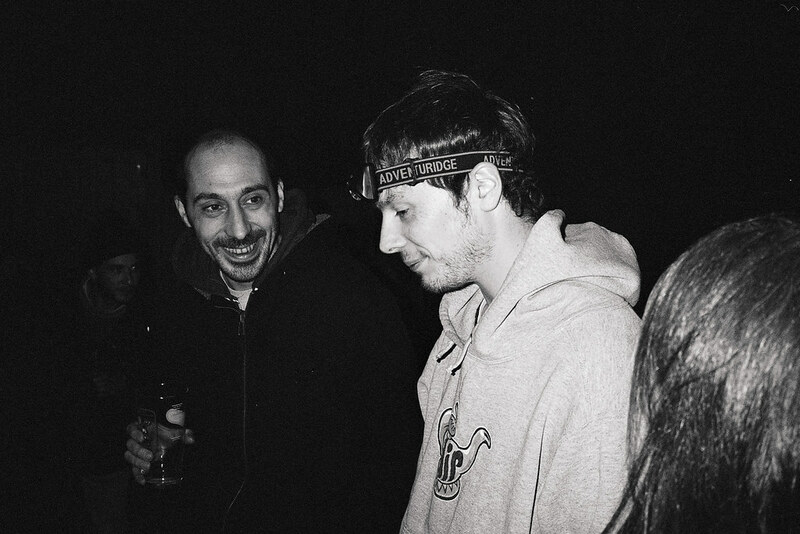 Ill definitively look into that, I have a good place where I develop my film now, Im sure they scan too. A quick update on where I am with gaming the T2 into behaving itself as an “available light” night time camera. A reminder to everyone that the only way to force the camera onto f/2.8 and 1/30 (still a stop or two less than ideal with ISO 400) is to turn the lens to f/2.8 and flash… but then the flash starts, erm, flashing. So I’ve been snapping away for the last few months with the flash unit taped over. But there was still considerable internal flash light leakage so I also have to tape over the window next to the flash that controls both the auto-focus *and* illuminates the frame lines in the finder. I had to use a thick foil-based tape, because even black tape is pretty opaque once a flash unit does its stuff. So, it worked as a stealth night camera, but at the cost of auto-focus and the frame lines. So I had a thought yesterday and opened the top part of the camera case (don’t try this at home. In fact, don’t try this at all). Inside I could now properly seal up the flash unit with the foil tape (now where did I put it?) without having to also cover up the auto-focus/framelines window… and it’s working! The flash has gone, and the auto-focus and framelines are back. I have some Cinestill 800 film and shall play around with that over the next week or three. I reckon the extra stop will help. Take care, and I very much enjoy your website. Ric! This is brilliant stuff! I don’t suppose you documented, or could document the work you have done with a few photos? 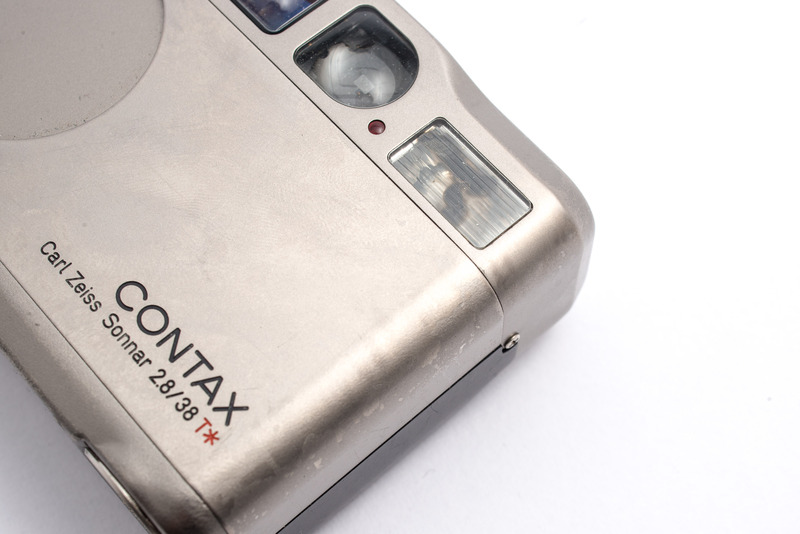 “Modifying a Contax T2 for available light photography” would make a great blog post!! Makes me want to find myself a beater and try it myself! Oh [email protected], now you’ve gone an appealed to my writing ego. (sigh). Shall write it up, and include a couple of pickies. Can only hope that I’ll not lose the bloody screws ‘cos I’ll have to go back in again… Nurse, the scalpel please! Haha! I shall look forward to reading! I was wondering how this compares to the Yashica T4/T5. 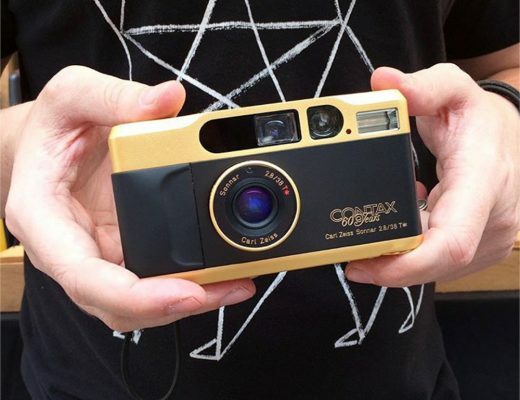 And do you know of any website besides ebay where I can buy a Contax T2 from a reputable seller? The Yashica is a much more basic camera, with very little in the way of controls. Both have excellent lenses though. 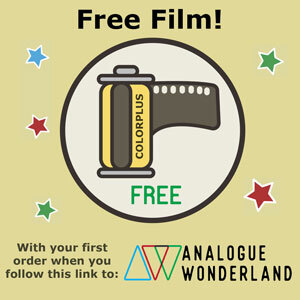 Hi, I was wondering what film you used for this thread? The photos are beautiful. I was hoping you could help me as I can’t find the exact answer I’m looking for. My T3 is about to bite the dust and I’m considering a T2 as its replacement. As I think you mentioned in your T3 review (or somewhere), one of the things that sets it apart from cheaper point and shoots is its internal memory and ability to set the flash to off all the time. Is this something that the T2 also does? As far as I can tell, you have to switch the flash on using the aperture ring which sounds good, but if you set the ring to 2.8 the flash becomes automatic – not so good! I basically want to be able to use the camera as I use the T3 – with the flash off at all times and not having to remember to turn it off a la T4/mju II etc (unless I need it), especially at the lowest aperture. Hello with my t2 when I scan it in at uni it seems to cut off the edges of the full photo. I was wondering whether the contact t2 photo is only inside the little squares of the viewfinder? Anyone else have this problem? I’m scanning it the exact way I did my others… please help! Hello, did you ever have a problem with the T2 front focusing indoors on program mode? Mine works just fine outside in sunlight, but anytime I’m indoors, the T2 seems to consistently focus about 1 ft in front of my intended subject. Hamish, photography basics are still somewhat of an issue with me, when you say “the T2 will prefer to use f/2.8 until a shutter speed of above 1/125 is required”, what do you mean exactly? When will the camera shoot wide open? Thank you. The program mode will use a the wider aperture until the amount of light is great enough that a shutter speed higher than 1/125th is required – at which point it will stop down the aperture. Basically, the camera will always shoot wide open in lower light. This is unlike many compacts that would favour shooting at 1/30th and f/4 over 1/60th and 2.8. Does that make sense?